Can Artificial Intelligence Predict Your Risk of Allergies? Predicting asthma, environmental allergies and quantitative traits with the Phenome, Exposome, and Physiome. To understand changes in your health, besides a brief initial survey, we will ask you to complete a 30-sec tracking survey daily or weekly. We will look for patterns over time for research purposes. A new way of conducting research. Environmental allergies - and their close relative seasonal allergies - can make a huge impact on your day-to-day life. But there aren't any easy answers when it comes to allergies. What really causes them? Is there a foolproof remedy? While there’s still work to be done, artificial intelligence and data trials are tools that could help us better answer these questions. Or in other words, compiling tons of medical research to find more actionable treatment is the best path forward to date to help allergy sufferers everywhere. In this brief overview, you’ll learn the ins and outs of allergies, why they happen, and how you could get to know your condition better through the doc.ai medical companion app. And most importantly, you’ll learn about how you can contribute to finding a solution that benefits us all and each of us. An allergy is an abnormal response to a normally harmless substance called an allergen. This can be a tree, dust mites, nuts, or almost anything else. For unknown reasons, when these substances come into contact with your body, your immune system identifies them as invaders. This kicks off a defensive chain reaction of chemicals, which usually manifests in something called a histamine reaction. This is when the histamine compound is released into our body, resulting in a series of symptoms that range from merely irritating to seriously life-threatening. And as we’ve noted, this process can be replicated with many different substances that often don’t seem to have any rhyme or reason. However, throughout time, medical professionals have been able to pinpoint some common types of allergies, so we’ll look at those next. The most common of all types of allergies fall under the environmental allergies category. These are cases when something in your surrounding context causes a histamine reaction and thus results in general unpleasantness. Some of the most common environmental allergens include pollen, dust mites, pets, and mold. Those aren’t an exhaustive list by any means though. Environmental allergies also include a subset known as seasonal allergies that are more geographical and temporal in nature. We’ll talk more in-depth on both of these allergy types later on, as they’re the current focus of allergy AI research. Food allergies are another common type of allergy that affects millions of individuals. Much like environmental allergies, these reactions are caused when a substance enters or comes into contact with your body. For some reason, an unexpected response takes place, ranging from mild to severe. Common food allergies include nuts, dairy (or lactose), and shellfish, although again that list isn’t extensive. Drug Allergies are an adverse reaction to any type of medicine. It doesn’t matter if the medication is a pill, a liquid, or an injection. If it causes a reaction that’s not indicated by your doctor or pharmacist, then you could be allergic to that particular drug. But again, your body could potentially respond to other types of drugs with reactions that range from mild to severe. It’s best to work with your healthcare provider and an allergist in these cases. As we’ve already touched on, environmental allergies generally refer to allergies that are caused by substances in your surrounding environment rather than a food or drug that you have taken. The immune system in your skin may react differently to the immune system in your gut and as a result, may have different reactions. The good thing about environmental allergies is that they’re generally more of a nuisance than anything. That means they’re not typically life-threatening, and that’s always a plus. Only, if you’ve ever lived with environmental allergies, you know that innocuous doesn’t mean easy to live with. Environmental allergies are often persistent, come back year after year (or never leave), and are usually treated with over the counter medicines. But one of the more deceptive sides of environmental allergies is that they’re often mistaken for the common cold. This can lead to early misdiagnosis if you’re not too careful and may prolong your suffering. With how long the symptoms could potentially last, that’s never a good thing. 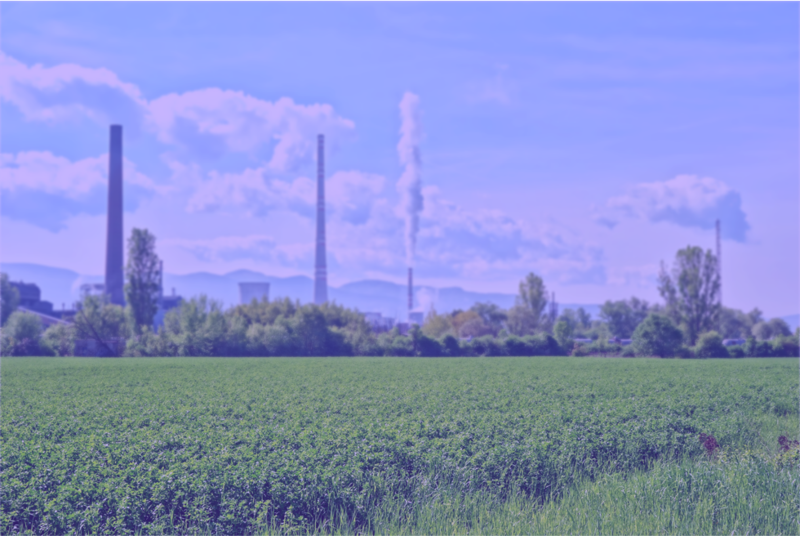 It can also be relatively difficult to pinpoint what exactly in your environment is causing the reaction, which is why environmental allergies are a prime subject of research. Seasonal allergies can be thought of as a subset of environmental allergies, as common allergens may change depending on the season. In most cases, pollens from trees and grasses are the main culprits here. The only upside of that is that you can usually get some relief when the seasons change, although you may still occasionally experience a flare-up. Seasonal allergies are a global phenomenon too, which means that no matter who you are or where you live, you can suffer from them. Their near-ubiquitous nature makes them a prime target for allergy research. And one of the main questions that many allergy sufferers live by is a very understandable one: What month is allergy season? The answer depends on where you live and what types of plants are growing nearby. For example, many moderate climates that see light winters and hotter, wetter summers will see more mold and ragweed allergens in the airways. On the other hand, longer, colder winters that burst quickly into lush springtimes are more likely to have higher pollen counts from grasses and trees. At the very least, it pays to be aware of common seasonal allergy symptoms. For example, seasonal allergies can make you tired, cause mood swings, or affect your blood pressure. But by knowing the symptoms to look for, you can more easily stay aware of your body and seek a remedy before symptoms compound and begin to detract from daily life. It’s also a good idea to learn what elements of your climate help contribute to or detract from your potential allergens. Plants like grass, trees, or ragweeds produce pollen and thrive in moderate environments. Molds grow in places with moderate to high heat and lots of humidity. There are elevated pollen counts in the morning due to cooler night temperatures. The cycle of rain, no pollen, and then resurgent pollen. On windy days, pollen is blown from trees and plants to become airborne. By keeping all of this in mind, you’re better able to assess your seasonal allergies and take action as early as possible. But now that you know what to look for with environmental and seasonal allergies, let’s take a step back and look at how innovative technologies like AI are helping allergy sufferers get relief. AI, and specifically machine learning, is a powerful tool that allows researchers to look for patterns in large sets of data. These data sets are much too large to analyze without the computing power that AI has to offer. It would take a large team of humans many years to go through the data that AI can in just a few hours. AI works by running a wide variety of processes and data collection techniques to look for patterns in said data. It’s a vast technological discipline that’s only now in its adolescence. But don’t let AI’s relative youth as a technology fool you. Just consider this: advancements in the early 2000s put the computing power of AI on par with a spider’s brain. They also projected that the next few decades would likely see AI leap closer and closer to human-level computation. And the latest news in AI technology is that it’s only speeding up, so those projections are very much on track. It’s not quite to the point of reading all our minds, but that doesn’t mean it can’t help in a wide variety of applications. As the tech progresses even more, it’s very likely that more real-world use cases (and behind the scene benefits) will start to emerge. And as we've already seen, allergens present a huge database of possible influences and symptom outcomes for even just one person that you can’t collate with a human workforce. At least, not in a time span that’s feasible or effective for that one person’s results. Forget about the other millions of allergy sufferers. By turning to AI allergy research, we could uncover new insights, shorten research times, and provide a more comprehensive picture of allergies on an individual level. You can’t have something new without assessing its performance against the old. So next, let’s look at how the data AI collects and interprets is different than the traditional clinical trial. A clinical trial is traditionally what’s known as an interventional trial. For instance, before new drugs can enter the market, clinical trials help to determine if this drug is effective compared to the existing treatment. This requires having two different groups try different treatments to see what happens. Clinical trials are in many ways the gold standard of medical tests and for good reason. They provide a methodical and safe way to assess the real-world use of drugs and certainly have their place in the medical world. The careful collection and analyzation of data are essential elements of this process. But there are some downsides, the biggest of which is sample size. In order to not overwhelm researchers, clinical trials are forced to use a relatively small pool of applicants in their testing. These applicants are used to represent the broader population. The result is a very long test with manageable amounts of data in a very limited timeframe. So clinical trials certainly have their place, but many still offer a somewhat limited window of research. Let’s compare that to a data trial. Data trials are a type of observational trial that has roughly the same goal as a clinical trial. The idea is that there is already a lot of data about our health and the environments we live in that's easy to gather. So, how do we look at all this information to find interesting patterns and insights? That creates some immediate differences though, like the fact that you’re leaning on real-world data, a large sample size, and a relatively low cost. So when it comes to a topic like allergy research that touches millions and millions of individuals, the best method is to try to capture as much data as possible. That means turning to AI and machine learning to analyze all of the data you’re going to collect. And that’s where doc.ai aims to shine. doc.ai is an AI-powered research companion that allows you to collect and submit your data to help further allergy research following a very detailed process. To get started, we’ll collect basic data about your overall health. Then, we start to connect the dots by collecting biological data points called Omics. Omics are what we call elements like your genetics, age, height, weight, and other important biological and health-related factors that can impact your allergies. This allows our AI to then predict which environmental allergens are affecting our participants the most. 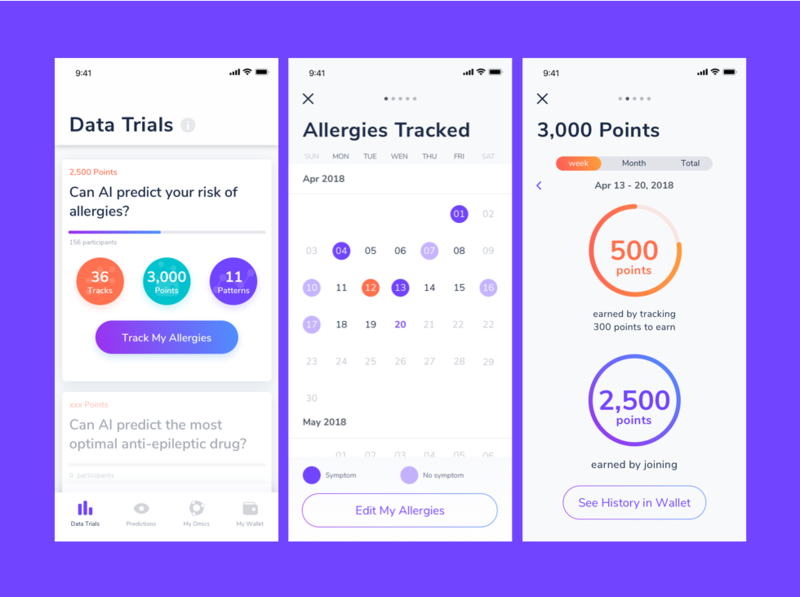 From there, applicants can join the larger data trials by continually submitting information and helping other allergy sufferers with a bigger pool of data. We take all of this data and build each of our users a comprehensive health profile to help further pinpoint where their allergies come from. We can also use this info to look deeper into their overall health and provide direction toward a healthier future. So in summary - data is collected on a regular basis to help create a constant stream of information that allows us to connect the dots of your health. And the result is a powerful and comprehensive picture of each participant’s health, as well as a better understanding of how allergies affect us all. The doc.ai app is the ultimate result of the data and research trials we’ve been discussing in this post. But how does it work, and what all do you need to know in order to join? To get things started, you’ll need to download the web or iOS app. Once you’ve signed up, you’ll need to fill in some basic information about your health. Once you’ve provided the basics, you’ll select to join the data trial. But as you can see, you’ll need to submit the required Omics as well. If you use Apple Health or a Fitbit, these are simple additions that take only a few moments. You’ll also be asked to complete a quick survey in the app, as well as some either daily or weekly surveys that let us keep up with your progress and data. All of this will simply collect data from different sources and store it in a password secured profile. By connecting all of your life data in a structured way, you can build an analytics-based approach to your health. Under this one app, you can keep your data with you where it belongs. The AI then helps guide you through the collection and interpretation, and provides the opportunity to opt in or out of the global data trials. Whether you opt in or out of the data trials, the benefits for you are still immense. By using the app you’ll have a more comprehensive view of your health and a path forward to an even better life. And if you do join the research program, you’ll have access to even more health predictions and possibilities that take into account your uniqueness. Plus, as a participant you’ll also be able to tap into a reward-driven data collection program that gives benefits in addition to your good health. We’re currently building a points-based reward system that will help you acquire new tools that improve your overall health. But most importantly, using doc.ai will help you accelerate research in important areas. 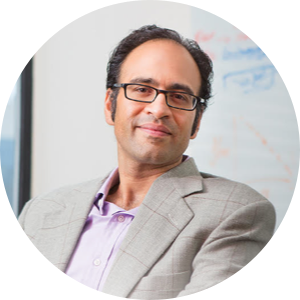 Your data will have an unprecedented amount of value, and you can be rewarded as you strive for better health. Conclusion: Can AI Really Predict Your Risk of Allergies? Unfortunately, allergies affect many of us on a regular basis. There are plenty of different allergies to suffer from, and it can be hard to always know the cause. Environmental and seasonal allergies can especially be a constant nuisance, and for many sufferers, it seems that there’s no end in sight. But with the doc.ai medical companion app, you can collect health data, predict where your pain points are coming from, and then change your life for the better. 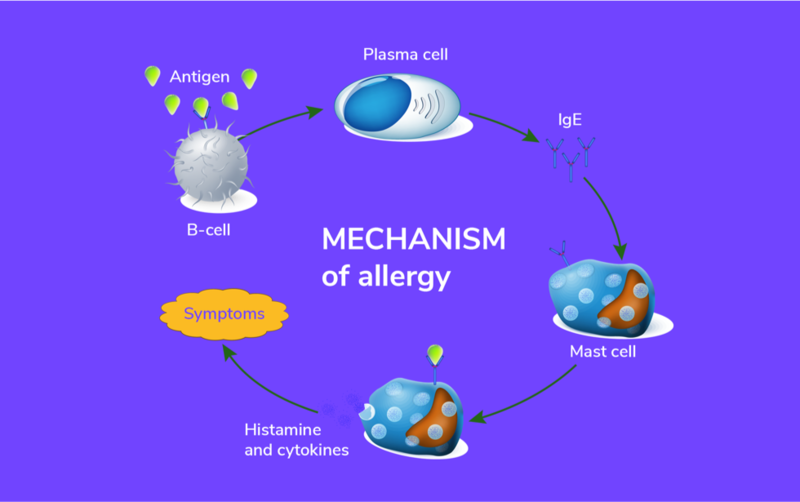 This method then helps create a better overall picture of allergy health for the whole world and mitigates some of the potential pitfalls of typical clinical trials. And it’s a simple process that relies on technology that’s already in your pocket or on your wrist. So it doesn’t involve much time or effort on your part. Plus, the rewards are immense. You’ll have better health, and be able to access more helpful technology down the road. Don’t be afraid. Instead, help accelerate research by starting your journey into allergy research with the doc.ai medical companion app. Data Trial: Can AI predict your risk of allergies? 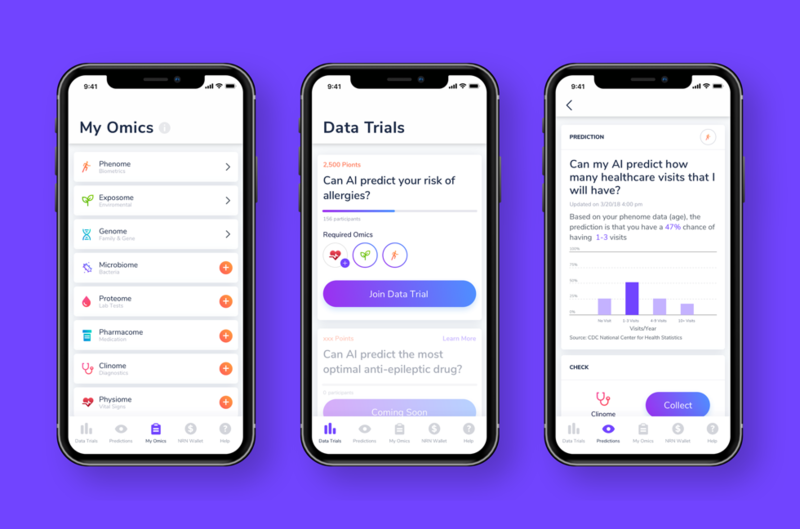 doc.ai is a platform that helps you collect and manage your health data securely in one place and helps you accelerate medical research with the power of artificial intelligence. Data trials are a new way of conducting research to develop more precise and predictive models around specific questions. The data trial "Can AI predict your risk of allergies?" is a first of an upcoming series of data trials. Environmental allergies can impact daily living in seemingly unpredictable and disruptive ways. Patients, doctors, and researchers have been trying to find patterns by looking at multiple factors from personal traits to environmental exposures. 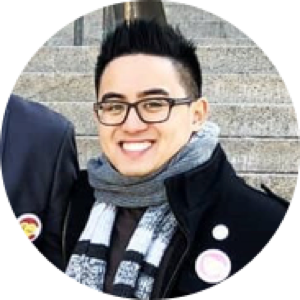 I am eager to use doc.ai with other people like me to help accelerate research, and potentially find answers to help with my everyday life battle with allergies. For as long as I can remember, allergies have been a part of who I am – asthma attacks, hives, hay fever, eczema, the list goes on. As I grew up in the United States’s dirtiest and most polluted city, the region’s extreme heat and occasional dust storms made it impossible for me to run long distances, to perform strenuous exercises, or even to stand under the scorching sun. I’ll never forget my doctor informing me, I was allergic to nearly every substance in the environment. AI has immense promise to enhance prediction of allergy and allergy symptoms. However, it is merely a new tool in the armamentarium for all stakeholders, including clinicians, allergists, and patients to accelerate diagnosis and screen populations. Critically, what comes next is understanding *why* the tools perform they way they do — what are the risk factors that are being selected by the model? Allergists and clinicians are the ones equipped to answer these critical questions just as they always have been. Predicting environmental allergy and quantitative traits with the Phenome, Exposome, and Physiome. To understand changes in your health, besides a brief initial survey, we will ask you to complete a daily survey of allergy symptoms. This will enable researchers to better predict patterns around allergies.